So you’ve been performing for a while and want to go to the next level. Or maybe you own a pole studio and have many students who are ready to perform at something bigger than a recital. Or maybe you just have a vision that you want to share with your community. Whatever your reason, here is an overview of what you need to consider when putting on your first pole or circus show! A couple of years ago, after teaching for a while, I had a number of students who wanted to start performing. I also wanted to present pole acts in a circus setting to educate the community about different styles of pole dance. I never intended to put on a show myself, but that’s what ended up happening! Since then, I have produced three hour long circus shows with my performance group Pole Diversity. Each show was an amazing experience and I want to share with you what I’ve learned. Before you start building your show – deciding who the performers are, the venue, acts, etc – you should think about what your vision is for your show. Do you want to tell a story? Do you want to have a variety show (each act is unrelated to the next)? Do you want a theme? Even if you put on a variety show, there could be a theme such as Oktoberfest, or Shakespeare, etc. Pretty much anything could work! While working this out, consider who will be performing, constraints of your venue, which type of acts best fit in, and who your audience is. One of the first things to consider is who your performers are. Are they your students? Are they instructors at your studio? Are you going to put out a casting call for performers? 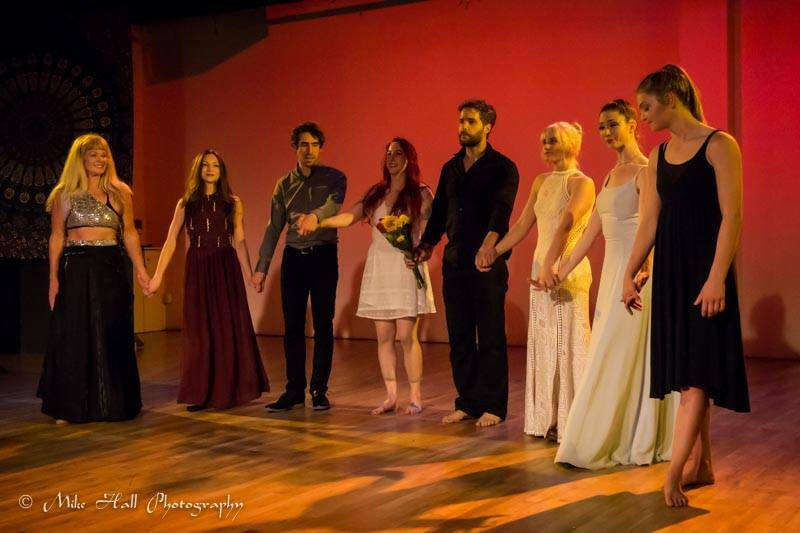 My shows have always included my more advanced students, other instructors, and usually one or two other people I’ve performed with who had a skill that fit into my vision for my show. If you’re going to put on a show, you need to make sure you have enough performers . Keep in mind that at least one person you’re counting on will probably drop out, whether that’s from nerves, injury, or something else coming up. It’s best to have a couple of backup acts in case. Also, you definitely can’t perform in more than probably five acts at most. Even though I love performing and have performed in every show I’ve put on, it is a lot to focus on! Remember, you are responsible for everything. If something falls through, you need to fix it. If there is an unforeseen task that must be done, you must do it. Your cast is also relying on you for support and direction, and it is challenging to prepare yourself to perform while also being there for your performers. Just something to keep in mind. Now that you’ve thought about who you’d like to have in your show, it’s time for auditions! I usually have auditions four months before the planned show date. Even if you want to include everyone who’s interested, auditions are important. First, it requires performers to prepare months in advance. Second, you can see how each participant dances under pressure. If someone does something scary, or goes through with a move without setting it up correctly, or attempts a move above their skill level, you definitely want to know that ahead of time. Remind performers that it’s not a competition! Clean and simple is much better than something that looks hard and scares your audience. After holding auditions and deciding who you’d like to be in your show, it’s a good idea to send out performer contracts. I didn’t do this for my first show, but it made such a big difference when I started implementing contracts. First, your performers will take you and your show more seriously when you do this. I would also include rehearsal dates in the contract. Performers are much less likely to miss rehearsal if you do this (and it’s really a nightmare if anyone misses rehearsal at the last minute). Second, the contract not only protects your interests but it also protects performers. Performers will clearly know your expectations, the time commitment, and if they’re getting paid, they know how much. It’s really better for everyone involved. You should also include in the contract what will happen if the performer does not follow through with all of their obligations. I will dismiss a performer if they miss more than one rehearsal without notifying me ahead of time with a good reason or if they show up to rehearsal under the influence. Even if a performer has a good reason for missing multiple rehearsals, there is a point where they simply won’t be ready for the show in time. It’s tough but you have to hold everyone accountable. Next, what is your venue? I put on my first show at the studio I teach at. This was easier and cheaper for me, and my students were more comfortable performing in the space they normally trained at. After that, I started renting out spaces. It can get quite expensive, but having a nice venue can make a huge difference in the quality of your show. You may also need to consider whether the venue is “riggable” (i.e. are there exposed beams that you can hang aerial equipment off of), and whether the venue is even ok with you using equipment in their space. 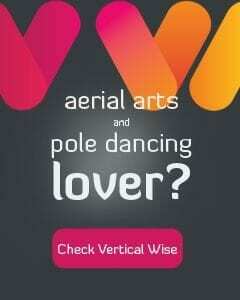 Also keep in mind that the venue may request that you have insurance for pole or aerial shows. Once you settle on a space, make sure you know the dimensions of the stage or area you will be performing on so there are no surprises at dress rehearsal. Taking photos to share with your performers is a good idea. Now it’s time to think about what equipment and apparatuses you will be using at your show. 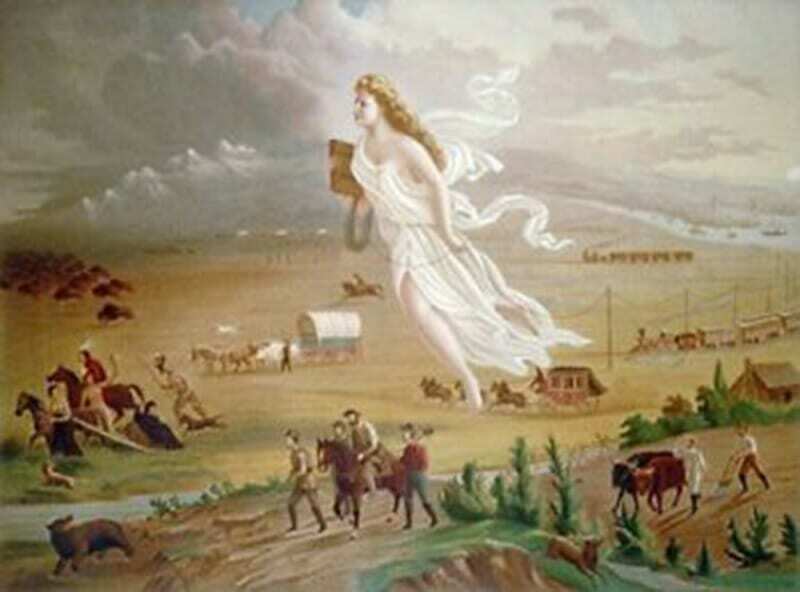 Think about what you already own or have access to. There are a lot of expenses that go into shows, so it’s better to use what you already have unless you have a really successful fundraiser. 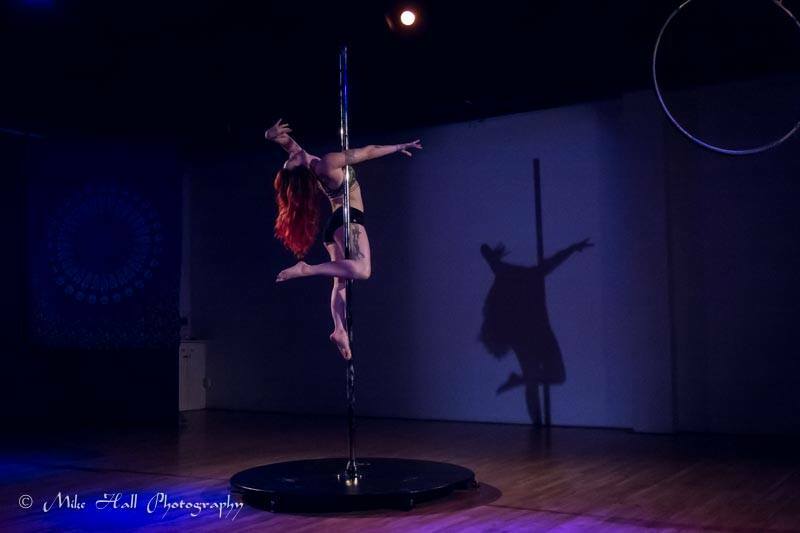 I have always used my stage pole and aerial pole for shows, but there are many other options for poles. Check out how PSO and NCPP set up their stages for pole competitions using truss for another idea. If you want to use truss, keep an eye out for production company auctions and close out sales. If you don’t want to buy truss, there are many companies that rent stage equipment. It’s important that you decide on which set-up you will use right away so that your performers can prepare on the right apparatuses (for example, a 10 foot stage pole is a lot different than a 14 foot pole attached to something at the top). Hopefully, these tips will help get you started in producing your first pole show! After deciding on your venue, performers, and apparatuses, it’s time to REHEARSE, AND REHEARSE, AND REHEARSE! In my next article, I’ll talk more about the other equipment (besides apparatuses) that you will need for your show, how to promote, and how to get ready on show day! 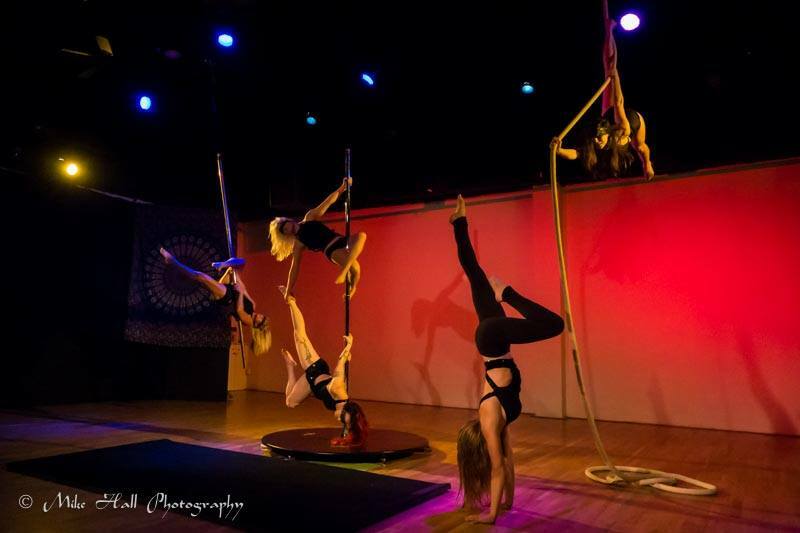 Jody Ryker is a performer and instructor in the bay area specializing in acrobatic pole and aerial hoop. She teaches at Aerial Arts Santa Cruz four days per week. 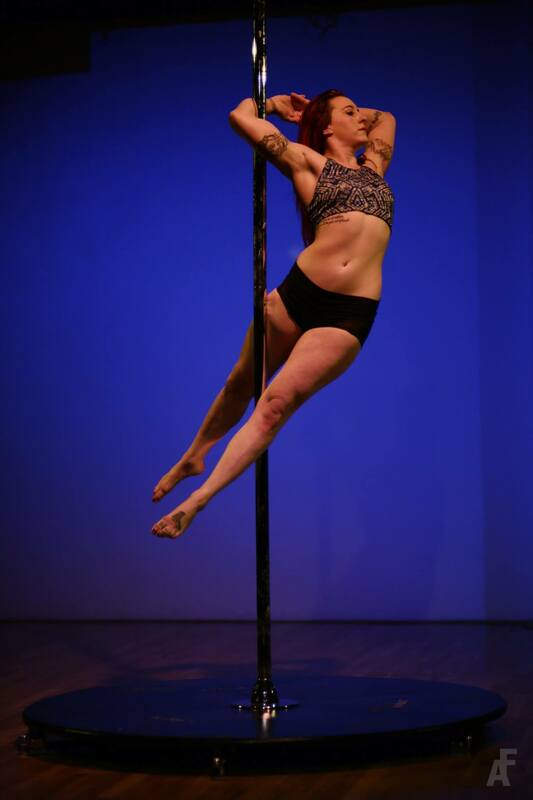 Jody also founded the acrobatic and aerial performance company Pole Diversity (www.polediversity.com). Jody is also working on a PhD in pure math at UCSC. How to “settle in” as a new poler!